One of the first things Kyle Mayer will tell you about the Reading Now Network, an intensive effort to improve reading skills among elementary students in west Michigan, is that it wasn’t formed in response to the recent third-grade reading law. That legislation will require some third graders with poor reading skills to be held back as their more capable classmates go on to fourth grade. But the legislation, signed by Gov. Rick Snyder in October, was introduced by a lawmaker from Mayer’s west Michigan perch, where he serves as assistant superintendent in the Ottawa Area Intermediate School District. And talk of it began around the time the Reading Now Network was launched about three years ago. A coincidence, Mayer says. But a lucky one, because the network says it has helped to push education leaders to achieve some early success in boosting reading achievement among the region’s youngest gradeschoolers. Ottawa Area ISD Assistant Superintendent Kyle Mayer worked on the leadership team that developed the Reading Now Network. That’s good news not only for the region trying this approach, which encompasses 13 counties along Lake Michigan and inland east of Grand Rapids, but perhaps for the rest of Michigan, which has seen its performance in early reading dip in national rankings. Michigan now ranks 41st in fourth grade reading on the National Assessment of Educational Progress, or NAEP. If the state continues on its dismal path, it stands to fall to 48th by 2030, according to the Education Trust-Midwest, a nonprofit education advocacy group in Michigan. The clock started ticking on this year’s kindergarten class across Michigan, which under the recently approved legislation have until their third-grade year to be reading no more than one year behind grade level or face the possibility of having to repeat the grade. The thinking behind the Reading Now Network would be familiar to any factory manager or corporate executive who ever tried to improve a process within an organization. Look at the people who are having more success, figure out what they do, and then have everyone else do it. Mayer and his colleagues plotted data from more than 100 public school districts across the state’s Region 3, encompassing 10 intermediate school districts and 13 counties, benchmarking reading scores on the state’s former standardized test, known as the MEAP, and adjusting student performance based on poverty levels. Over the last dozen years, Michigan's fourth graders have seen their reading scores fall in national tests, making Michigan one of only five states to see scores decline (The test, known as the NAEP, is not given to third graders). In 2003, the state's fourth-graders ranked 25th among all states; by 2015 they had fallen to 41st. They identified 14 schools that consistently scored better-than-expected results year after year. Teams visited five of those 14 schools to determine what, exactly, those teachers and principals were doing differently, or better. Mayer admits the group didn’t find new ways to treat educational heart attacks. Instead, he said, the process encouraged the schools to focus more tightly on those reading strategies that worked. For the most part, the solution turned out to be fairly simple: Build everything in the early-elementary curriculum around the essential skill of reading. Collaborate and share. When doctors come up with better ways to treat heart attacks, they don't keep it a secret. Educators should follow similar advice. Know your data. Teachers, administrators, parents and students should know how their students are performing, and track progress towards defined goals. Cultivate classroom libraries. The school library at the end of the hall isn't enough. Classrooms needs 500-1,000 titles, so that every child can find something engaging and appropriate to read. Include tablets and digital sources, too. Take the time. 90-120 minutes should be spent on a daily reading block, with a variety of activities -- group reading, small-group reading, one-on-one. Whatever it takes. Early grades are critical, not only to each student's education, but for the rest of their lives. Successful schools won’t take failure for an answer. If the only way to get a student to read on holiday break is to read to them over the phone, make the call. “When we benchmarked the successful schools, we didn’t find anything that wasn’t already known,” he said. “We added nothing to the body of research that was new. The group set about distilling its findings and applying them throughout the region, customizing its approach to fit individual schools. Boiled down, it amounted to a few core practices – among them, making reading an intense classroom focus, closely tracking individual students’ progress, building strong leadership in every building and refusing to give up on any student. Although mastering reading skills has long been a core of early education, in practice it wasn’t always treated as such, Mayer said. “When we came out of the field study and told others about the 90-120-minute reading block” – up to two hours every morning devoted solely to reading, the centerpiece of the approach – “the reaction was, ‘How are we going to do that?’” Mayer said. Some educators worried that putting so much emphasis on reading would shortchange other subjects and special classes. The leaders’ response was simple: Make it work. Reading now gets its own 90- to 120-minute teaching block every morning, with time devoted to large-group, small-group and one-on-one instruction, so that every student gets the attention they need. Teachers know precisely where each student is reading, according to grade level, and examine the data often. Meanwhile, best practices, in teaching and administration, are shared from school to school. Getting schools across the region to buy in required district-level leadership to “collaborate like never before. This was 100 districts being vulnerable” and opening their doors to improvement, Mayer said. He added that not only low-achieving, high-poverty schools were targeted for improvement, but so were above-state-average schools, if their scores indicated they could be doing better given their more affluent demographics. Don't hide a student's status. If a student is underachieving, let them know and then help them set goals for improvement and support them fully. Don't keep success a secret. If a particular book or series has captured one classroom's interests, let others know about it. If you had a breakthrough, share it. Don't let parents off the hook. Teachers only have a few hours of a child's day. Parents have the rest. Let them know what they need to do to support their child's learning, and give them the tools they need to do it, from overnight loans from classroom libraries to summer packets. Don't hesitate to seek help. Students are the workers of tomorrow, and local businesses have good reason to want them to succeed. Approach the business community for for any support they can offer, as volunteer readers, mentors, or to buy books for libraries, etc. But he said the results have been worth it. Mayer said when the study started, in 2012, about 9,000 students across the region were reading below grade-level proficiency. After three years of work, that number has dropped to 8,000, with the greatest gains among the poorest students. As the program evolves, he said he expects the number of underperformers to drop further and that far fewer third-graders will be required to repeat when the new law takes effect. Constant data analysis will catch lower achievers far earlier, so that if they do have to repeat a grade it will likely be kindergarten, where repeating a year is far less traumatic for a child, Mayer said. The third-grade reading law was prompted by a consensus among researchers that students who are not reading at grade level by third grade are far more likely to struggle academically in the future. Adding to the urgency is other research which shows that forcing students to repeat a grade presents a host of other problems for students. While promising, the West Michigan reading data has not yet been independently reviewed outside of the region. One expert said more analysis is needed to help the state find ways to reverse its slide in early reading. That might begin with also considering reading strategies used in other, more successful states. 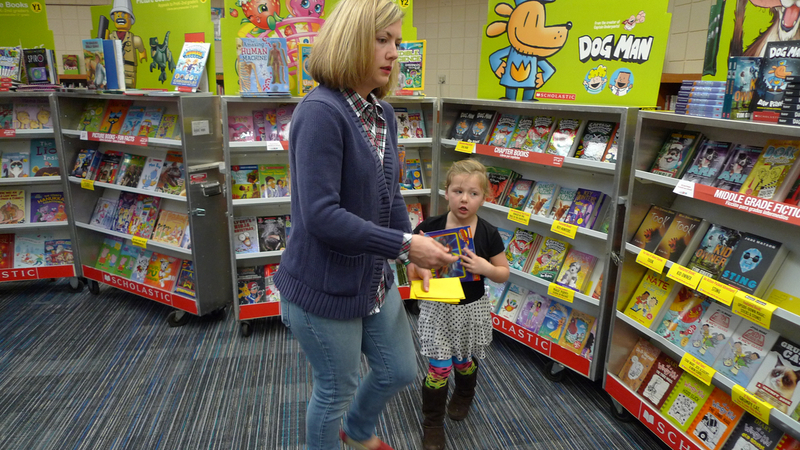 "While we applaud efforts to improve literacy levels, Michigan's early literacy performance continues to stagnate or even trail many other states around the country,” said Amber Arellano, executive director of Michigan-based Education Trust-Midwest, an advocacy group. “Clearly, leaders need to take a closer look at the strategies here compared to other states, especially those states producing far higher levels of achievement and improvement than Michigan. "The data suggest it's too early to make decisions about major, statewide investments in early literacy. We still have a lot to learn -- and much to evaluate -- about what are the most effective strategies being implemented across the state, as well as outside of Michigan." Jens Milobinski is the first to admit he “walked into a good situation” when he assumed the principal’s job at Lakeshore Elementary in Holland. Lakeshore was one of the five schools in the 2012 field study, high-scoring in spite of significant challenges. The school, located in a rural-suburban landscape of small farms and blueberry fields, counts a little over half its student body as eligible for the free or reduced-price lunch program, the standard measure of poverty in education. About a quarter are English-language learners, many the children of the farmworkers who staff the fruit operations throughout the region. They not only speak Spanish at home, many pull their children out of school in late fall to follow jobs to Florida or Texas, returning in late winter. Some students leave the country. Milobinski said he recently worked with a teacher to put together a packet for a first-grader who was off to spend the cold months with a 30-year-old sibling in Mexico. But Lakeshore’s building still wears the banner it raised after being named a National Blue Ribbon School in 2014, and an atmosphere of accomplishment and encouragement reigns. “Don’t forget to read 20 minutes” is the principal’s standard farewell as students leave for the day, with overnight loans of books in their backpacks. “Word walls” dominate classrooms, and a wall of lanyards covers a sizable patch in the central office. These are worn by parent volunteers, who Milobinski and teachers recruit relentlessly to help teachers do one-on-one reading with students. The more there are, the more children can get focused attention. The library is spacious and bright, roomy enough to accommodate several racks and tables for a Scholastic Book Fair, which is also promoted with signs inside the school and out. But well inside the central office is where the work is measured. The percentages of students at each grade level who are reading proficiently, below, or well below grade level are recorded on a whiteboard. The numbers are updated every seven weeks, when the whole staff (administrators and teachers alike) meets and plots strategy, setting goals for the next seven weeks..
Milobinski credits his teaching staff with extraordinary dedication. He recalled that the parents of one student said they wouldn’t be reading to their child over the holiday break, so the teacher asked if she could call daily during the break and read with the child over the phone. The parents said they wouldn’t mind, and the teacher followed through, calling every day and reading with the student, trading paragraphs back and forth for 45 minutes at a time. The importance of meticulously measuring each student’s progress is essential. At Woodbridge Elementary in Zeeland, an above-average school that was determined to be falling short of its potential, the conference-room whiteboard has been given over to listing every student in the school who is reading below grade level (out of sight of these, or any other student). As students advance, each letter is crossed out and the new one written in. Barb Johnson, who was principal at one of the five higher-achieving schools, led an in-service training for Woodbridge principal Michael Dalman and other principals recently, suggesting strategies for using the 90-to-120-minute reading block each school now has. The goal, Dalman said, is for no third-graders to be retained in three years. Forcing a child to repeat third grade is demoralizing and humiliating for an 8-year-old, and may end up being even more of a setback. This approach -- bringing even building leaders into the team for individual students, via data analysis -- is key to the program’s success, Mayer said. “We all know how to be professional educators. We can track every kid until they are proficient. Why weren’t we all not doing that before?” Mayer asked. Individual data analysis is still fairly new in education and not universally adopted, he said, answering his own question. Educational improvement is a very complicated process. I applaud the efforts of the Reading Now Network – they are one of a number of impressive West Michigan initiatives. (Disclaimer: over the past 10 years, I have been involved, as consultant or presenter, in several West Michigan education projects, including a Federal Teaching American History grant, two state-funded Improving Teacher Quality projects, the current GIANTS Network, and the MiOpenBook initiative. Over the past 20 years, I have also been asked to help with similar projects in more than 20 other states and six foreign countries – this is what I do for a living!) With that background, I have to say I was greatly dismayed by the last paragraph in the story. Mayer used the word skeptic to describe people who might have other opinions – that’s a loaded term, and it puts people on the defensive. Ten years ago, when I was co-Director of the New York Center for Geographic Learning, were were asked to design lessons for a group of nine high-poverty kindergarten and first-grade public-school classrooms in the Harlem area of New York City. They wanted to try an experiment – to do two relatively long geography lessons every week and see what impact they might have on standardized test scores. Reading scores in all classrooms went up dramatically, from the high 50s in fall to the low 90s in spring. Unfortunately, educational research is extremely challenging – they did not have any “control” classrooms that were identical in every way except for the geography lessons. As a result, scientific integrity precludes any claim that the geography lessons “caused” reading scores to go up. We can, however, swear that we obeyed the Hippocratic Oath – “Above all, do no harm.” There is no evidence that geography lessons in kindergarten and first grade caused reading and math scores to go down! I think the Reading Network is doing interesting and worthwhile things. We should remember two things, however: the project began in 2012, and it has no control group or program to test for effects. Claiming that the focus on reading has had no effect on other subjects, therefore, is a naïve and potentially very dangerous assertion. Educational research is challenging, and the results are often ambiguous. I suggest that much more humility is in order, especially from someone who is in a position to make decisions about the allocation of educational resources. Remember – the reading scores went up from the high 50s to the low 90s in our Harlem classrooms. That is a more dramatic improvement than the West Michigan Reading Now network. Moreover, the Harlem students learned some things about map reading and world geography that could prove very useful in later grades – five, six, even ten years in the future. The Reading Now Network cannot say that, yet. Before making any assertion about effect on other subjects, they should perhaps design a study to explore whether their intense focus on reading might prove counter-productive “for the whole child” in the long run. I would be delighted to participate in a Michigan experiment that compares the effectiveness of different kinds of reading instruction, some of which has a focus on science or geography content even in kindergarten and first grade. We will never know what is most effective until we try several alternatives. This kind of study, unfortunately, is often precluded when decision-makers use terms like “skeptic” to describe people who have other ideas. Phil, As it seems to have you a bit exercised, let me shift some of your concern away from Kyle Mayer. "Skeptic" isn't his word, but mine, the writer. I understand your point about the necessity of stringently analyzing data, etc., but in this case, the word is used fairly casually. Neither Mayer nor I were implying that questioning conclusions is anything other than healthy inquiry. Being long schooled in sociology, I applaud Phil Gersmehl's comments. I partly agree with Michael Dalman's quote. There is no magic pill, but applying the West Michigan approach will not solve all of the problems, just some of them. The West Michigan approach mirrors the hallowed Tennessee approach. The differences between states on the NAEP are not huge one. Small improvements make a big difference in relative position. But hailing from Detroit, I note that the Tennessee model has not moved the needle in the state's larger inner cities. It has rather enlarged the gap. That's not to knock the overall effort. But it is to note that something different is also needed in the inner cities. My child's school district is so worried about reading scores, it has all but cut elementary science and social studies. What a shame! I would suggest that the focus on reading can be used to advance these subject areas. I run the reading program at an after school program, and I often encourage volunteers to focus on nonfiction material that the student is interested in. Using nonfiction helps students develop skills that better translate to school; we balance this with fun reading as well. In a school program, there's no reason why the 90-120 minutes of reading per day can't include subject area material as well. Magic School Bus includes a great deal of elementary school science that's focused and presented in an engaging way. It seems to me since reading is such an important skill that prepares young students for life and gives them a skill that allows them to teach themselves nobody should graduate from 3rd grade without getting the very basics down pat and being able to effectively demonstrate at least 2nd grade reading skills. Which probably wouldn't even be enough to read my comment. There needs to be an aggressive, almost emergency room triage attitude with 3rd grade reading skills. Do whatever is necessary to ensure that kids get to benchmarked skill levels even if it means summer school or after school tutoring. And bring in interested adults who can do many low level things like read to kids to encourage kids to read particularly if their socioeconomic background and or family situation doesn't encourage reading. Reading is the foundation and the key to all other subjects. If you can't read at proper level social studies or science really doesn't matter because you lack critical learning skills and probably won't understand it and will struggle with it in any case. Of course all this will cost more but aren't our kids and their future the most important? If the fanatical focus on raising reading test scores and punishing students who are not proficient continues, students will learn to hate reading. If we don't recognize the importance of poor homes where reading is not encouraged, learning disabilities and the pitfalls of once size fits all teaching methods, student scores may go up, but not reading independently. We may win the battle and lose the war. "We can track every kid until they are proficient." Sounds like we can weigh every starving person until they are healthy. And if they get to eighth grade and are reading at 3 rd grade level because they didn't get to third grade level until seventh grade because we had to "protect them" their chances of getting any job but asking "How would you like your Big Mac" are slim to none. And if they are so far behind on an intellectual and knowledge development level they'll never ever make manager. If you treat them carefully kids are very resilient and able to adapt especially to something that gives them new skills and opens up new possibilities. They will have so much learning catching up to do that they will most likely fall further behind and since their reading skills have been sub par for so long their math skills and social skills will all be equally deficient. Better to push them---gently yet firmly while they are still young and more easily able to learn. Once they get into junior high they are going to be a lot more difficult to help..
Let us be very clear – no one in this conversation wants to see children graduate from third grade unable to read at third grade level. As you so rightly point out, inability to read is a powerful constraint on the ability to learn other subjects. And the metaphor of emergency-room triage that you used earlier is compelling, but it is valid only if we can accurately link diagnosis with effective prescription. This requires deep knowledge as well as good intentions, because the intuitively obvious solution – “spend more time making sure they learn the basics of reading” – is directly contradicted by a large and rapidly growing body of empirical research, in a number of scientific disciplines, including neuroscience, developmental psychology, vision science, and linguistics. I am very familiar with one small part of this research – about 3800 research studies that deal with how the human brain processes spatial information. Kids need spatial-reasoning skills in order to do a variety of things that are germane to reading – e.g., to decode the shapes of letters, the directions that some letters face (b d, n u, p q), the spatial order of letters (tar and rat mean different things, both as nouns and as verbs! ), the spatial association of grammatical elements in a sentence, and so forth. Here’s a simple example of how to translate this research into classroom practice: making a map of a playground and looking for a hidden “treasure” marked on the map can help children master the idea of representation – a concept that students must grasp before they can see how abstract shapes can represent sounds or numbers. To this end, our Harlem geography lessons had a strong early focus on “position words” and map reading skills. While I would not claim it is the only cause, it is certainly plausible that this focus played a role in the rapid increase in reading scores in these classrooms (and, remember, this was a challenging educational environment, with more than 90 percent of the families below the poverty line, nearly ¾ of the households with only one parent.) My point is simple: people who look at low reading scores and issue a knee-jerk prescription of more time for reading instruction may be cutting out precisely the kinds of educational activities that research seems to say are part of the scaffold for the development of skilled readers. P.S. it didn’t hurt that the Harlem children often voted the geography lesson as the most interesting one of the week – the trick is to capitalize on that interest to help them want to do the reading-related activities that we had built in as part of every lesson.